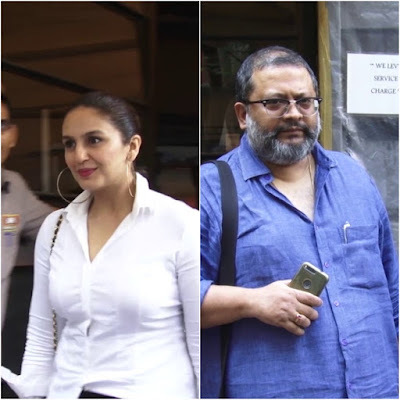 #HumaQureshi was spotted in Mumbai allegedly after a meeting with Aniruddha Roy Chowdhury director of the critically acclaimed film 'Pink'. Sources disclosed the actress was met with the director to discuss and finalize a role in his upcoming film, which is in pre-production mode. Apart from Huma, other actresses Bhumi Pednekar and Malika Sherawat were also seen exiting the same restaurant. Their visit has set rumor mills abuzz with speculations of an upcoming film with Bhumi, Malika, and/or Huma in the Aniruddha directorial.